The Arc5 has 5 cutting-elements while Arc4 has 4 cutting elements. 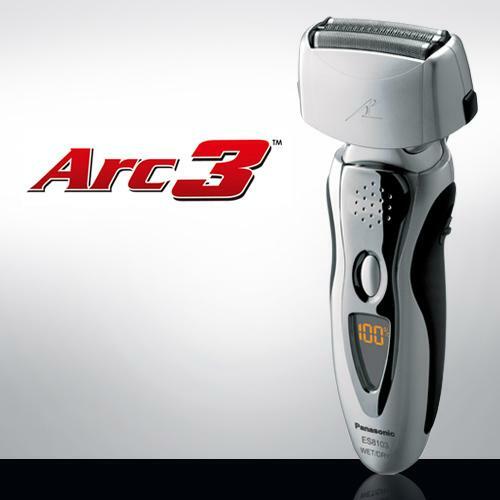 The Arc5 is offers faster shaving results compared to the Arc4 shaver. The Arc-5 has comfort-rollers that make shaving more comfortable compared to the Arc-4 shaver. The Arc5 ensures ultimate shaving-closeness compared to the Arc4 but both shavers work well on coarser beards. The latest Arc 5 comes with a superior automatic cleaning station compared to the older Vortex Hydra System of the Arc-4. 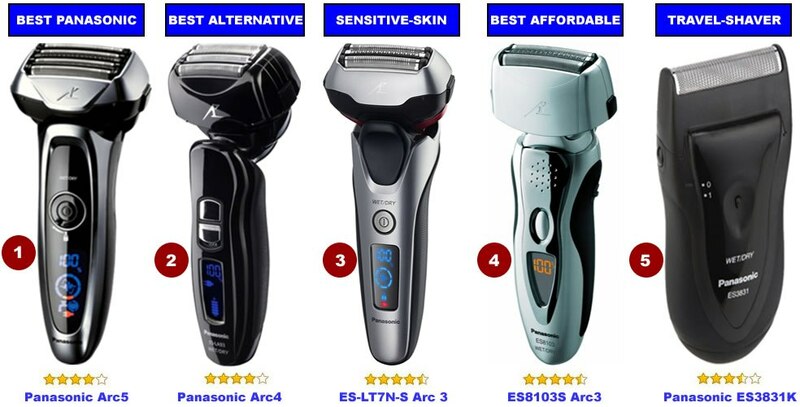 The Arc-4 is more affordable than the Arc-5 yet both shavers offer a great shaving experience. 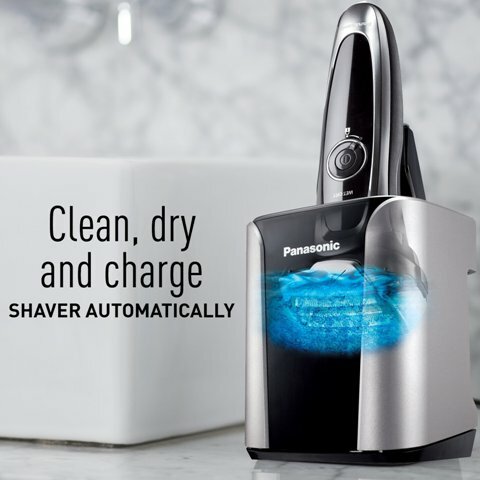 If you’re looking for an affordable Panasonic-shaver then you should tryout the Panasonic ES8103S Arc3 because it’s a highly rated Wet & Dry shaver that will give you an amazing shave. However, this electric-shaver doesn’t have cutting edge features like Panasonic ES-LV95-S Arc5 but it will provide you with a great shaving-job. 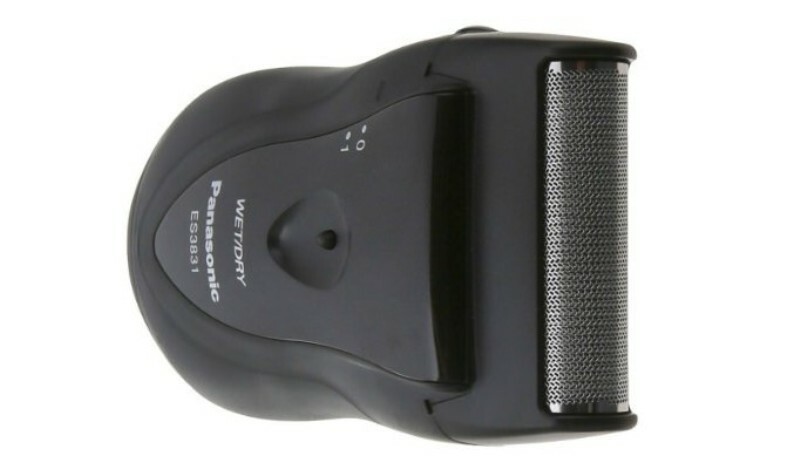 1ST-CHOICE: Panasonic ES-LV95-S Arc5 Electric Razor –Check Price Here:- (BEST PANASONIC SHAVER). Automatic Cleaning & Charging Station. 2nd-CHOICE: Panasonic ES-LA93-K Arc4 Electric Razor – Check Price Here:- (BEST PANASONIC ALTERNATIVE). 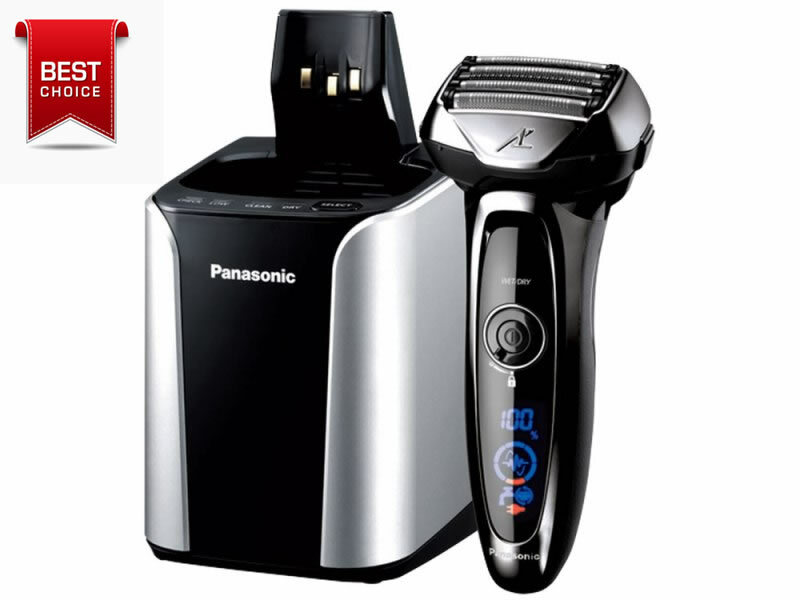 3rd-CHOICE: Panasonic ES-LT7N-S Arc 3-Blade Electric Shaver System – Check Price Here–: (BEST PANASONIC FOR SENSITIVE-SKIN). 30-Degree Stainless Steel Nanotech Blades. 4TH-CHOICE: Panasonic ES8103S Arc3 Men’s Electric Shaver – Check Price Here:- (BEST AFFORDABLE SHAVER). 5th-CHOICE: Panasonic ES3831K Electric Travel Shaver – Check Price Here:- (BEST PORTABLE & TRAVEL SHAVER). Best Braun Electric Shavers 2019. Best Philips Norelco Electric Shavers 2019. Best Beard and stubble Trimmers in 2019. 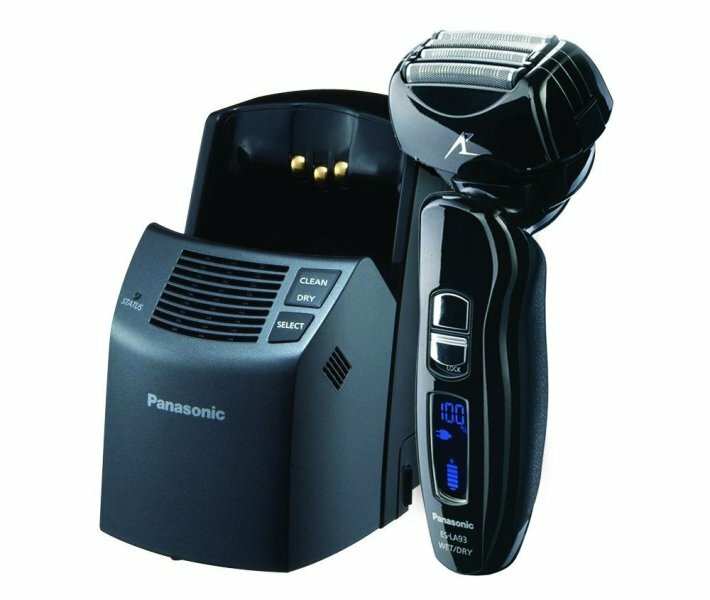 The Panasonic ES-LV95-S Arc5 is a premium shaving-machine designed to provide you with a close and comfortable cordless-shave. It’s equipped with the most advanced shaving-system with 5 precision-honed, ultra-sharp and hypoallergenic Nanotech blades coupled while the high-efficiency 14,000-cpm linear motor-drive ensures consistent performance when shaving. 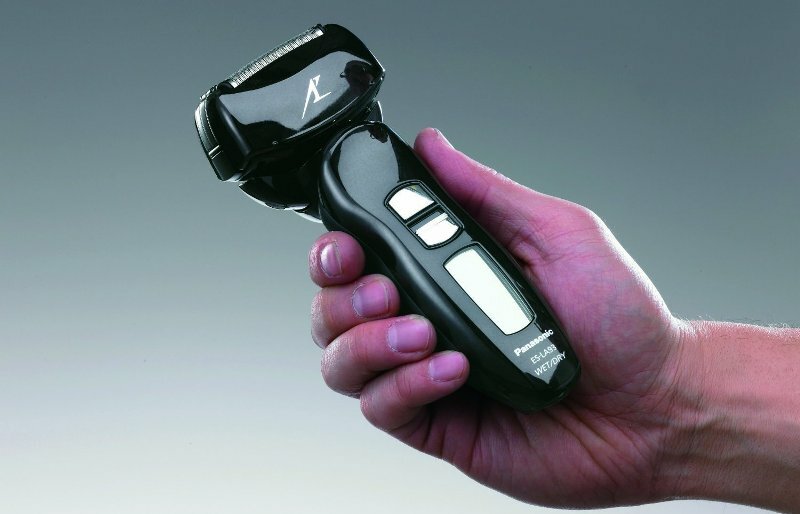 Likewise, the Multi-Flex quick-pivoting shaving-head and active shaving-sensor detect different beard densities as you shave while adjusting cutting-power where needed so as to ensure a smooth, even and comfortable shave. Additionally, the sleek & masculine design allows this shaver to fit naturally into hand for optimum control and comfort while the integrated LCD-Display shows different shaver functions. It is also a wet & dry shaver that can be used to get a convenient dry-shave or a comfortable wet-shave over the bathroom-sink. The included automatic clean & charge helps to keep it in pristine-condition while the universal voltage makes it very easy to charge when traveling. Arc5 Shaving System: This system ensures a very close and comfortable using the 5 ultra-sharp & ultra-thin Nanotech blades. The Arc-5 blades are forged and honed to an acute 30° cutting-edge so as to ensure a more clean and efficient shave at the root. Active Shaving Sensor: The built-in Arc5 sensor automatically detects differences in beard-density along the cheeks, neck and jaw-line. Flexible Micro-Foil Patterns: Its integrated with 3 micro-thin Arc-5 foils that instantly capture, hold and cut different types of facial-hair that make-up the beard. 14,000 CPM Linear Electric Razor Motor: This powerful linear-motor is very fast, quiet and efficient in order to provide with a smoother and cleaner shave. This motor is designed to shave at speeds of 14,000-cpm and ensures peak-performance throughout the shaver’s battery-life. Wet/Dry Convenience: It can be used for a quick dry-shave when hurrying or used to get a comfortable wet-shave over the sink or when taking a shower while using favorite shaving gel and foam. Premium Automatic Cleaning and Charging Station: Although this shaver is 100% washable and rinses under running tap-water with sonic-vibration mode, it still comes with an automatic clean & charge station that helps to keep it in pristine condition. 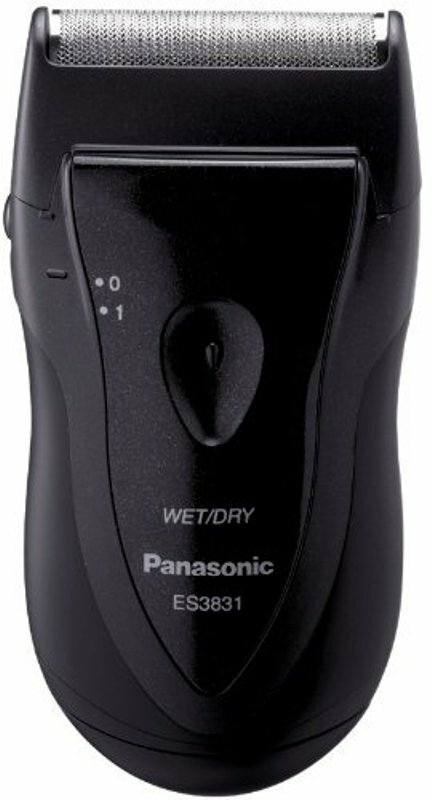 The Panasonic Arc4 ES-LA93-K is a wet/dry electric-shaver designed to offer a close and precise shaving-experience. its equipped with Nanotech blades that are honed to a 30° cutting-edge for exceptional durability and sharpness while the high-velocity 14,000-cpm dual action motor is built to ensure optimum power and performance. The electric razor’s Multi-Fit outer foil and Multi-Flex shaving head are designed to glide effortlessly over the face, chin, jaw-line and head. This Panasonic-shaver is ideal for use under dry-conditions when time is short or used to achieve a comfortable wet-shave with your favorite gel or foam in the shower. 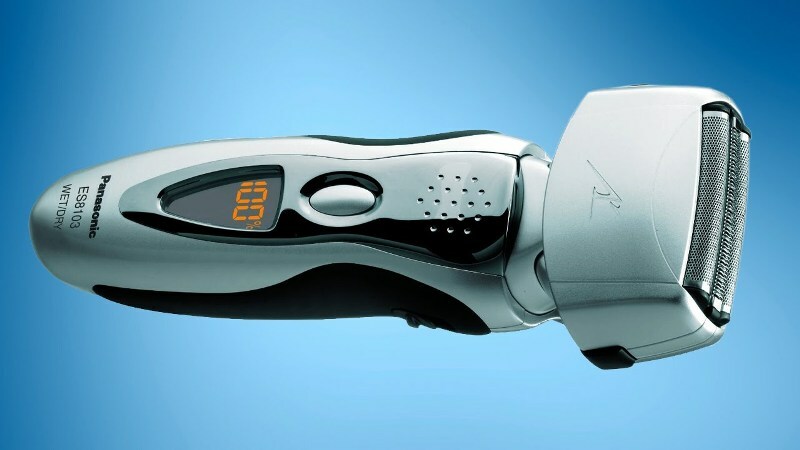 Additionally, The shaver’s built-in Pop-up Trimmer details sideburns, mustaches and beards while its 10-stage blue LED-Display shows battery power-status, charge-indicator, cleaning and replacement reminder for blades and foil. The Automatic Cleaning & Charging Station cleans, dries and charges the Panasonic Arc4 with the touch of a button. Arc4 Shaving System: This system features micro-thin and stainless-steel foils that capture, lift and hold whiskers while the 4 super-sharp, 30-degree-honed Micro-fit blades cut hairs cleanly at the base for a close and precision shave. Multi-Flex Pivoting Head: The Multi-Flex active head ensures smooth & uniform motion along each individual contour of the face so as to comfortably shave the chin, jaw-line, neck and head. This actually makes the Panasonic ES-LA93-K one of the best bald head-shavers. 30-Degree Nanotech Blades: The Panasonic ES-LA93 features nanotech-blades that are forged and honed to an acute 30° cutting-edge to cut more efficiently and cleanly at the root. It also features Stainless-steel, hypoallergenic Arc-4 blades and foils that provide gentle comfort for male-grooming. Wet/ Dry Convenience: it can be used to get convenient dry-shave or a comfortable wet-shave over the sink or in the shower using shaving gel/foam. Powerful Linear Motor: It’s equipped with a quiet & high-performance linear motor designed to shave at speeds of up to 14,000 cycles per minute (cpm) while ensuring peak performance throughout the shaver’s battery-life. Clean and Charge Station: The automatic clean & charge station thoroughly cleans this electric-shaver so as to help keep it in pristine condition. The Panasonic Arc3 ES-LT7N-S is a wet & dry Men’s Electric Razor that combines maximum shaving-power with comfort and convenience of a multi-blade system so as to ensure a closer and smooth shave. It’s equipped with 3-blade system that provides a quick & smooth shave while the advanced 3D multi-flex pivoting head glides effortlessly over the face, chin, jaw-line and neck. The integrated hypoallergenic stainless-steel blades, honed at a 30-degree angle cut whiskers cleanly at the root while the pop-up trimmer helps in grooming & detailing of sideburns and mustache. The 13,000-cpm fast, linear-motor drive system maintains peak-power while eliminating the tugging and pulling. This shaver is 100%-washable and can be confidently used to shave in the bathroom, shower or over the sink and on the go. However, it includes a premium automatic cleaning & charging system that uses a hygienic, alcohol-free solution to remove stubble and debris from the shaver-blades. 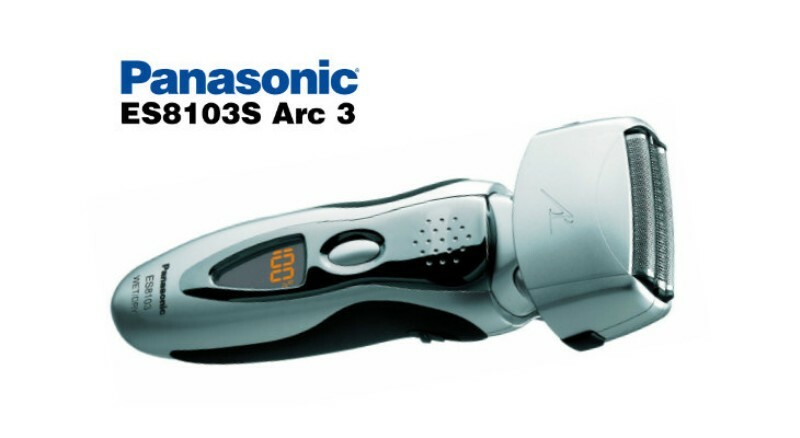 30-Degree Stainless Steel Nanotech Razor Blades: The Panasonic’s Arc3 Series is equipped with exceptionally sharp and durable blades that ensure a close & comfortable shave. These are Nano polished 30-degree-angle stainless steel hypoallergenic blades designed to cut each hair at the base with outstanding precision while providing optimum-comfort with less irritation no-matter your skin-type. 13,000 CPM Linear Motor Drive: It’s equipped with a quiet, high-speed linear motor that provides enough power for a fast and effective shaving. This high-performance linear motor maintains continuous speed to the end of each battery-charge. Ultra-Thin ARC Foil System: The 3 contoured, micro-thin hypoallergenic foils instantly capture, hold and cut different types of hair that make-up a beard for outstanding closeness and comfort. Shave Sensor Technology: The built-in shaving sensors automatically feel the differences in beard-density along the cheeks, jaw-line and neck while continuously adjusting power-flow so as to achieve an even and close shave. 3D Multi-Flex Pivoting Head: The advanced 3D Multi-Flex Pivoting head effortlessly glides up-and-down, side-to-side and back-and-forth while tracing every individual contours on your face, neck and jaw-line for a closer and gentler shave. Precision Pop-Up Trimmer: With the integrated ultra-sharp 45° blade pop-up trimmer, you will be able to achieve precise detailing of sideburns, beards and mustaches. Premium Automatic Cleaning and Charging Station: You can keep this electric-shavers blades ultra-clean and battery fully-charged and ready by using the included high-efficiency cleaning and charging system. The Panasonic Arc-3 is a wet/dry washable men’s electric-shaver packed with smart & innovative features that deliver a remarkably close and comfortable shave. it has a 3-blade shaving system for maximum shaver coverage and closeness while the integrated 30-degree-angle blades cut hair at its base for a close & precision shave. The flexible pivoting-head enables the shaver to float effortlessly along the contours of the face for a smooth shave while the integrated linear-motor maintains peak-power while eliminating tugging and pulling. it also features a pop-up shaving trimmer for detailing sideburns and mustache. 30 Degree Stainless Nano-tech Blades: The polished 30 Degree Stainless Nanotech Blades cut hair at its base with outstanding precision while ensuring a gentle shave with less skin-irritation. Fast, Linear Shaver Motor-Drive: The Linear-motor that runs at 13,000 cycles per minute ensures a faster and closer shave while eliminating pulling, tugging and skin-irritation. Multi-Fit Arc Blades: It features 3 independently-floating blades that follow the contours of your face, chin and neck thus facilitating for a closer and smooth shave. 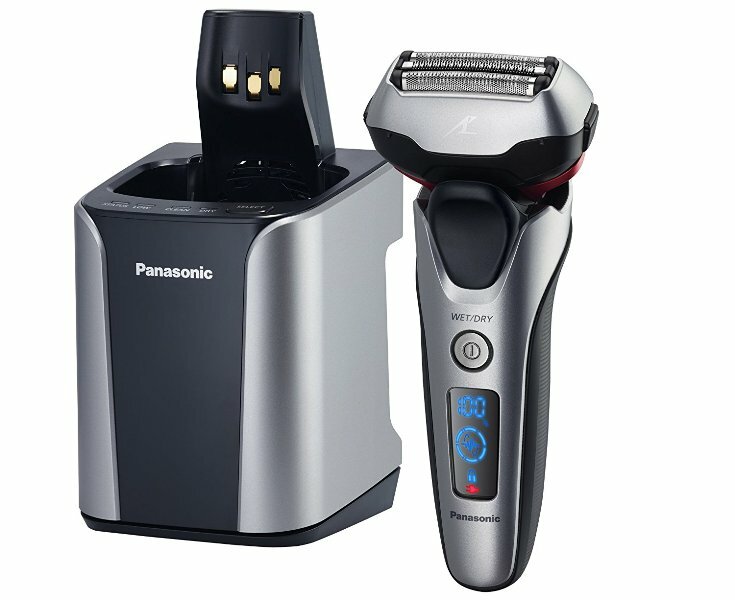 Pop-up Male Grooming Trimmer: The Panasonic Arc 3 is equipped with a pop-up trimmer which is a great tool for grooming your mustache or sideburns. This precision-trimmer easily pops-up when ready to use and tucks-away when you’re finished with using it. Wet Dry Shaver: This shaver provide you with a convenient and quick shave under dry-operation or you can use it to get a comfortable wet-shave with foam or gel for a smooth shave. LCD Display: It has an inbuilt, 10-stage digital-display that indicates the battery-level, cleaning-reminder, charge-indicator and sonic-vibration cleaning mode. 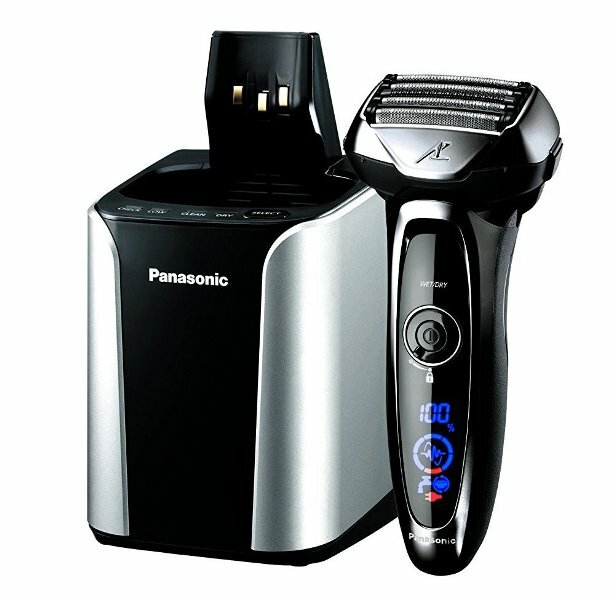 The Panasonic ES3831K is a portable, travel electric-shaver that uses a single single stainless-steel floating blade and foil to provide men with a comfortable and clean shave when traveling. It is also equipped with a powerful and durable motor that ensures consistent performance while its sleek and ergonomic design allows it to fit naturally into your hands thus ensuring optimum comfort and control. Additionally, its a wet and dry shaver and can be fully immersed into running-water since its 100% waterproof. 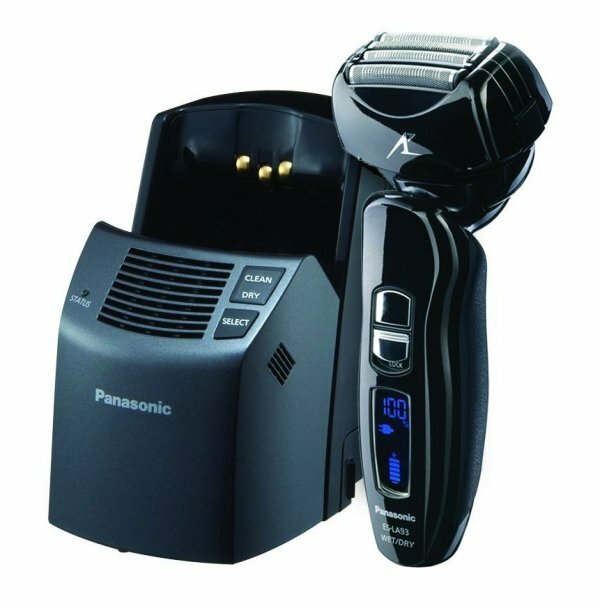 All in all, the Panasonic ES3831K is a lightweight and portable shaving machine for men that its just perfect for grooming while at work, gym or when traveling. 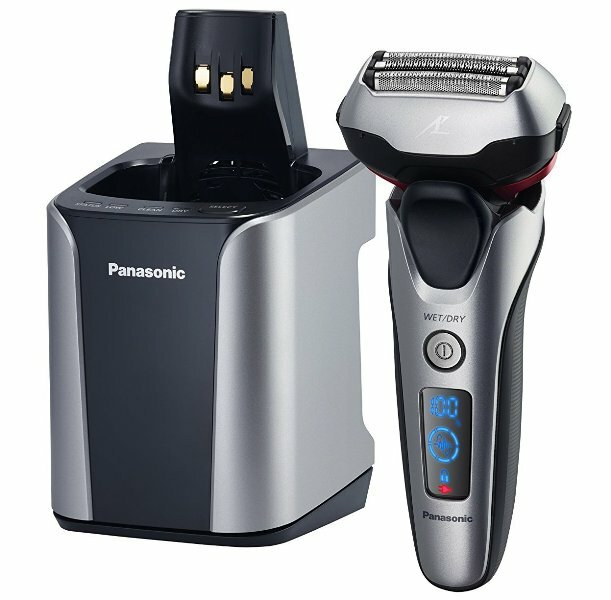 CONCLUSION: All the Panasonic electric-shavers featured in this post are very efficient and effective when it comes to shaving facial hair and other hair-types on your body. So, we have decided to provide you with different choices in-order to enable you make the right choice when buying a Panasonic-shaver depending on your personal-needs in 2019.